COSHOCTON – Betsy E. Mercer, 60, of Coshocton went home to meet her Lord on Wednesday, February 13, 2019 at Signature Healthcare in Coshocton. She was born December 7, 1958 to the late Dennis and Julia (Weldon) Fortney. 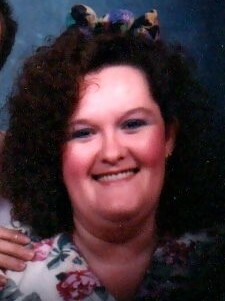 Betsy was a grill cook for 13 years and loved to bake for family and friends. She was a 1978 graduate of River View High School. She is survived by her husband of 25 years, James Mercer. Also surviving are four sisters, Jane Fitzpatrick of Coshocton, Brenda (Dale) Caley of Coshocton, Cindy Smith of Millersburg, and Darla (Walt) Harding of Zanesville. A brother, Dennis (Julia) Fortney of Stockport and several nieces and nephews. She was preceded in death by a sister, Reta West, and four brothers, Norman, Ron, Floyd, & Charles Fortney. Funeral services will be held Saturday, February 16, 2019 at 12:00 p.m at the Coshocton Church of Christ 1800 Chestnut St. Coshocton, OH 43812 with Minister Collin Pinkston officiating. Visitation is from 10:00 a.m. – 12:00 p.m. at the church. Burial will be in the Franklin Cemetery.